The Uni-Lions have confirmed their starting rotation for the 2019 season today. With Ryan Verdugo still unable to pitch due to shoulder stiffness, 29-year-old Japanese left-hander 知念広弥 (Chinen Kohya) will begin his 2019 CPBL season on the first team roster. According to Apple Daily, Chinen Kohya threw live BP today and was able to suppress all the Uni-Lions’ hitters he faced. The Uni-Lions’ signed Chinen Kohya as the fourth backup pitcher and assigned him to the farm team for most of the 2018 season. From March to August, he made 18 appearances and posted a 3.10 ERA and 1.08 WHIP across 81.1 innings in the CPBL farm league. 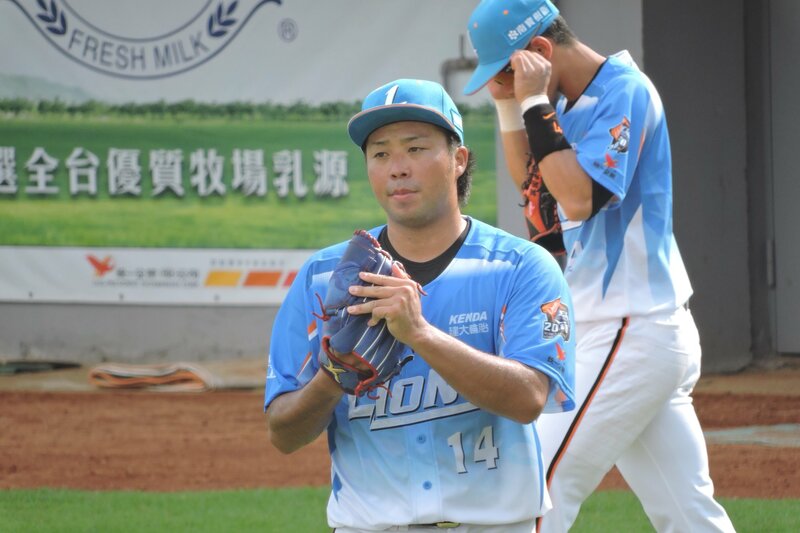 On August 16, 2018, the Uni-Lions briefly called up Chinen Kohya to replaced David Martinez. However, due to a string of rainouts. Chinen only appeared in one game where he went 4.2 innings and was charged with seven earned runs. With the August 31 trade deadline approaching, the Uni-Lions ran out of time and decided to release Chinen to make room for Andy Van Hakken.